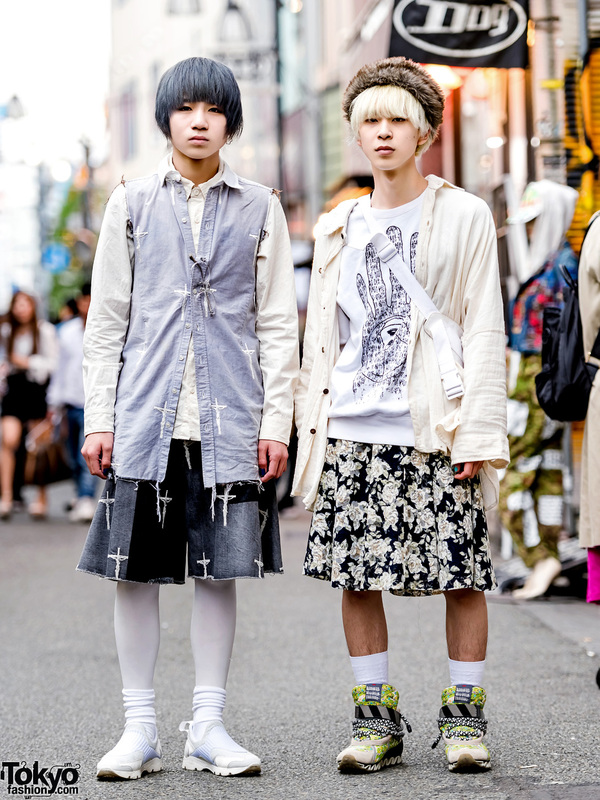 Harajuku girls sporting monochrome and minimalist streetwear styles with long sleeve collared dress, cowl neck jacket, pleated skirt and sneakers. 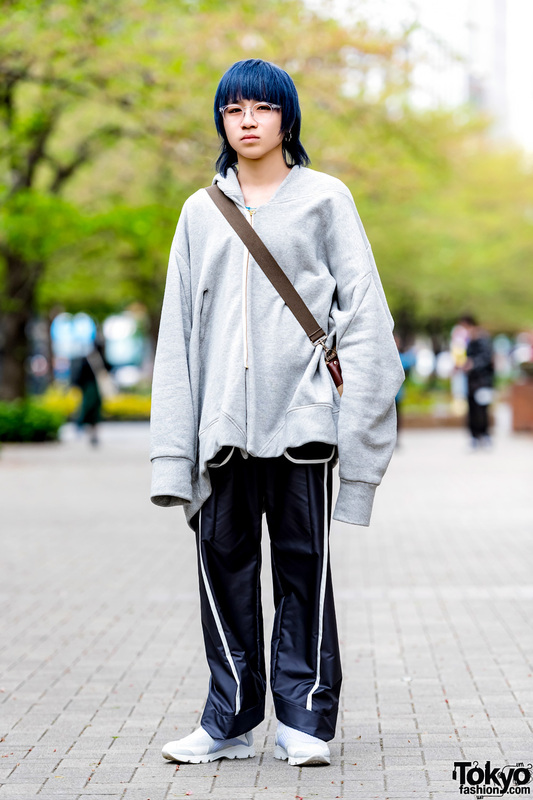 Blue-haired guy in oversized grey hoodie, satin pants, white sneakers and a vintage crossbody bag on the streets of Harajuku. 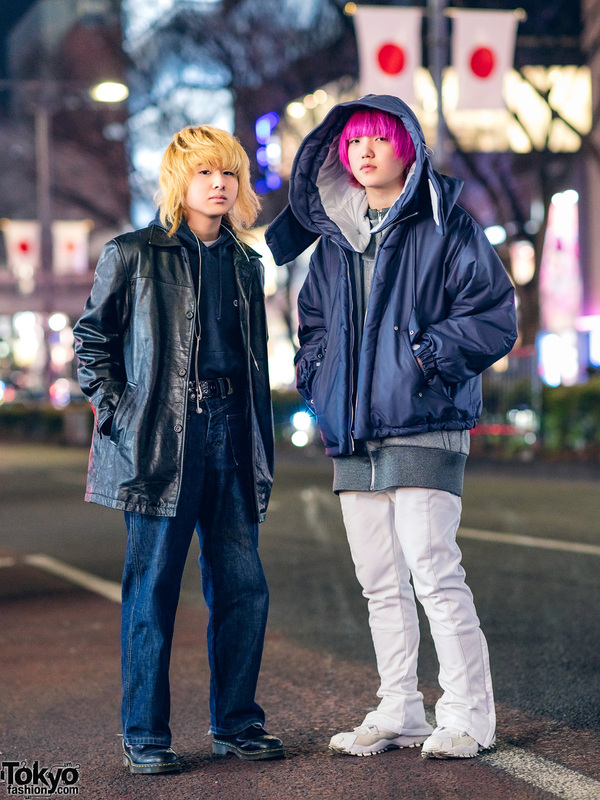 Harajuku guys out at night sporting sleek streetwear styles. 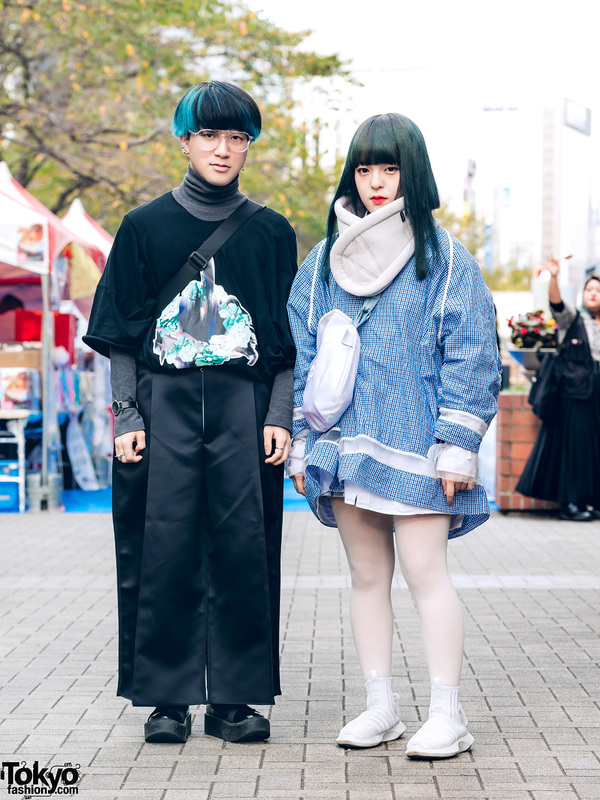 Harajuku girls in dark streetwear fashion while out and about on the street. Harajuku student in pastel purple fashion wearing a lace dress, ruffle socks, platform winged shoes, cute backpack, layered necklaces, beaded bracelet, heart shaped watch, and a parasol. 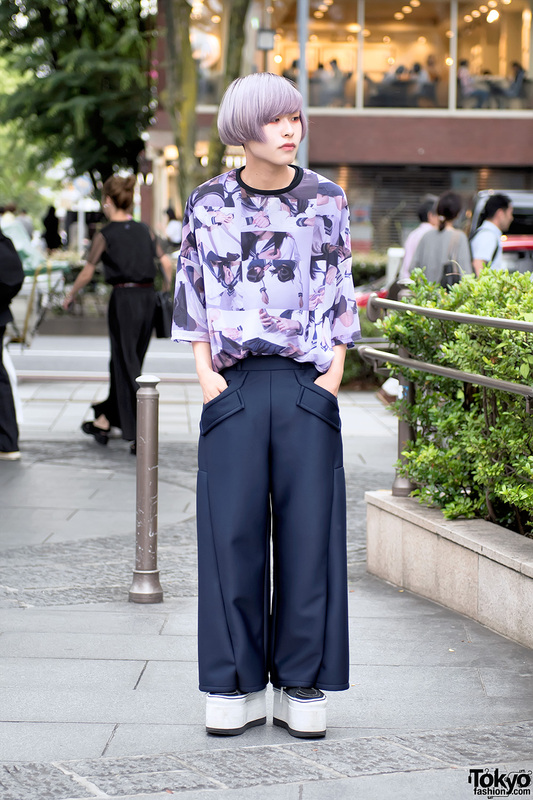 Lavender haired Harajuku guy wearing a school uniform print top with wide leg pants and platform SK8-HI sneakers.